What is Gross Disposable Household Income? 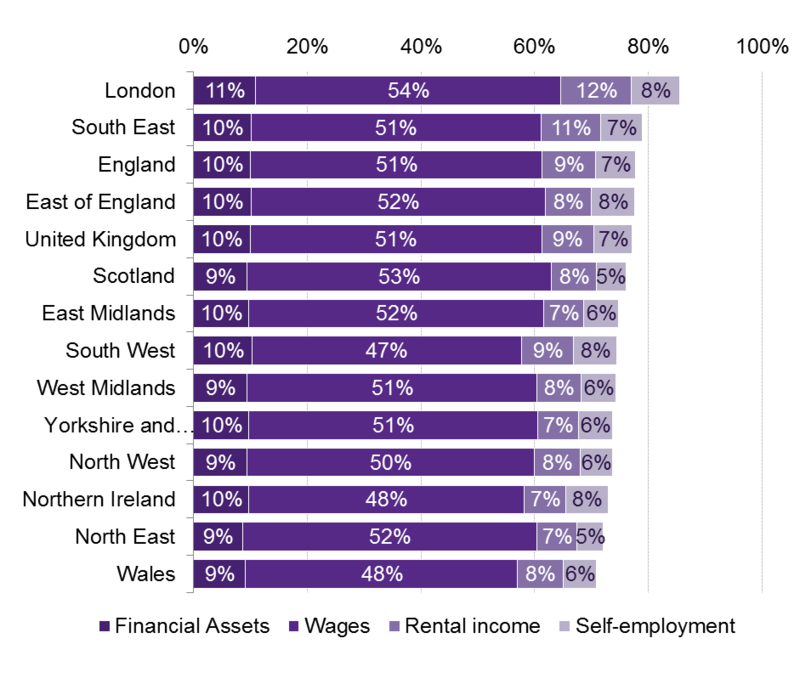 How does disposable income compare across the UK? 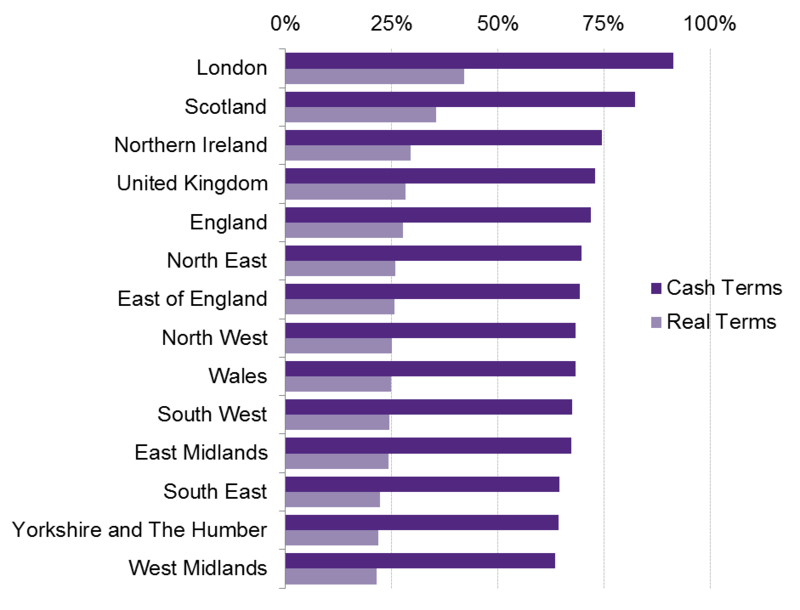 How has disposable household income changed over time across the UK? 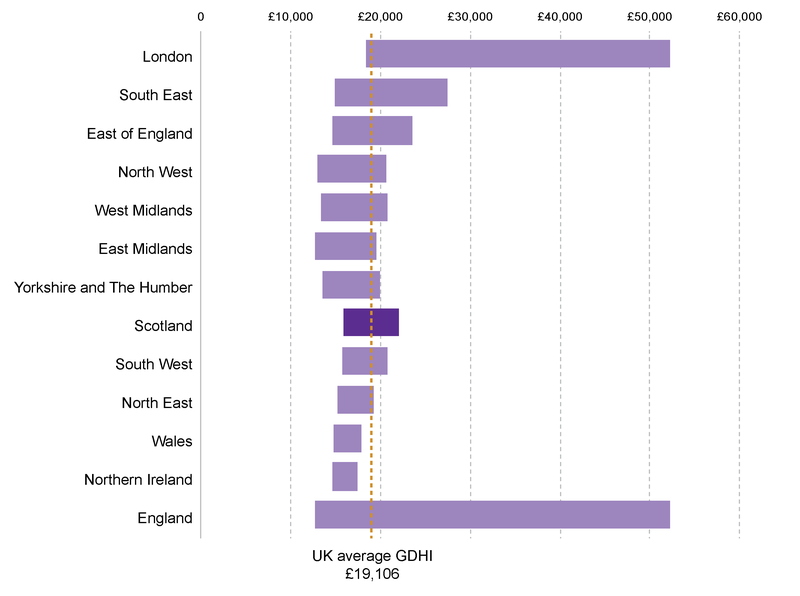 What does the difference between the highest and lowest disposable household incomes look like across the UK? 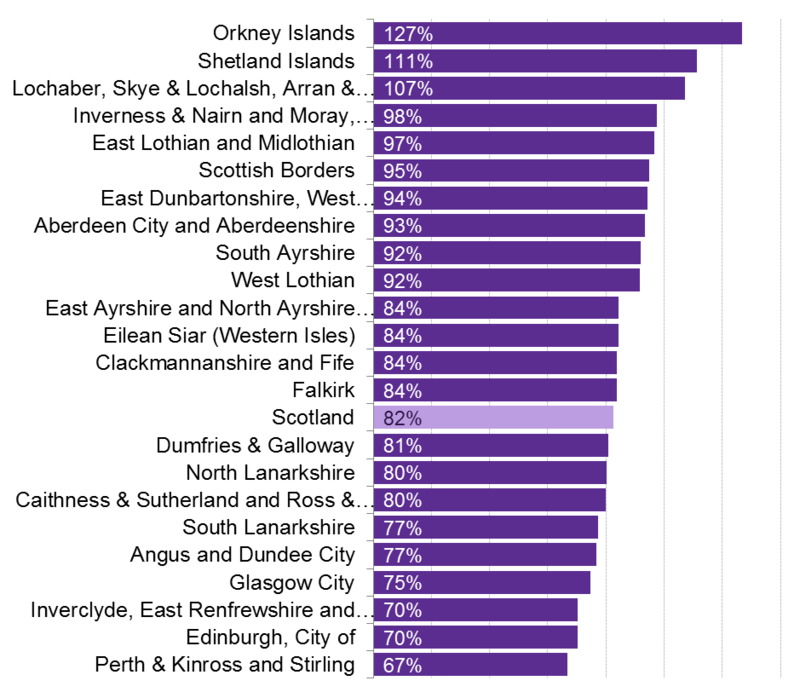 How does disposable income compare across Scotland? 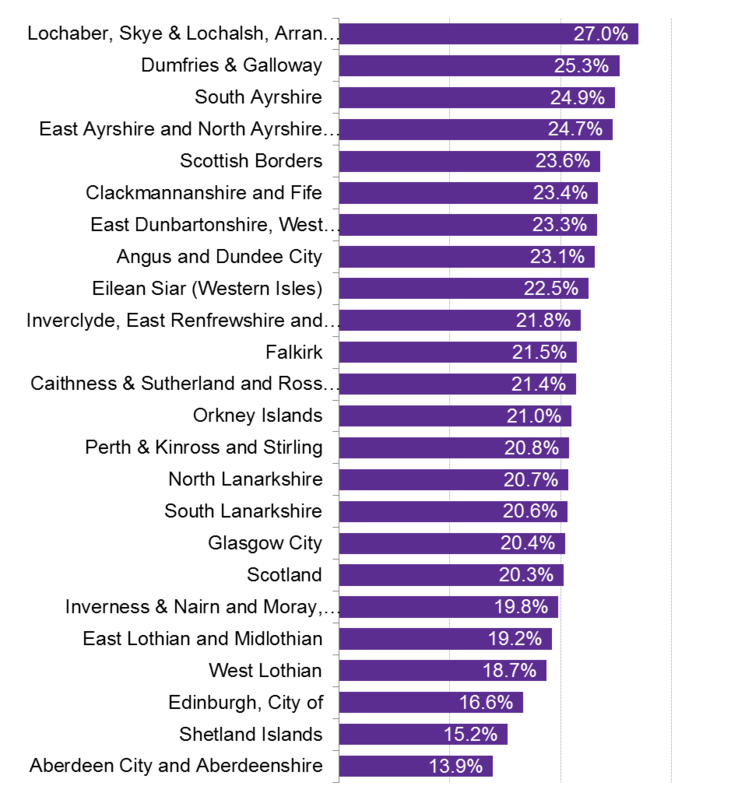 How has disposable household income changed over time across Scotland? 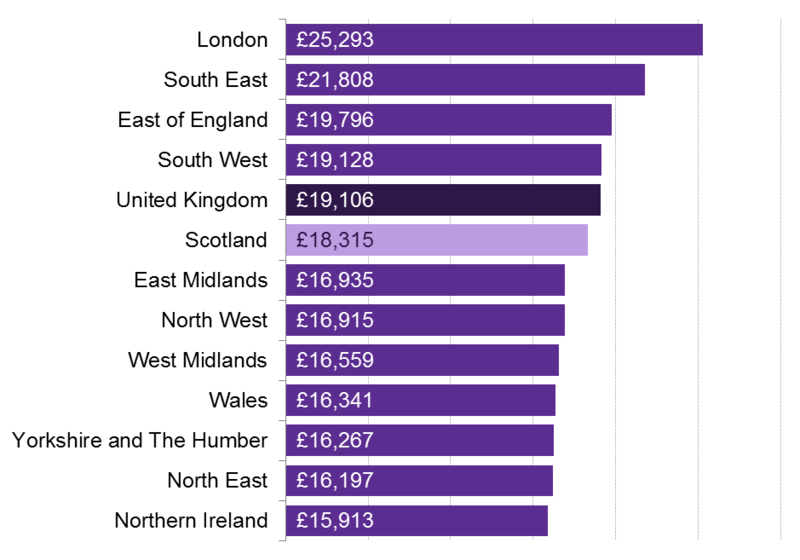 How does primary household income compare across the UK? 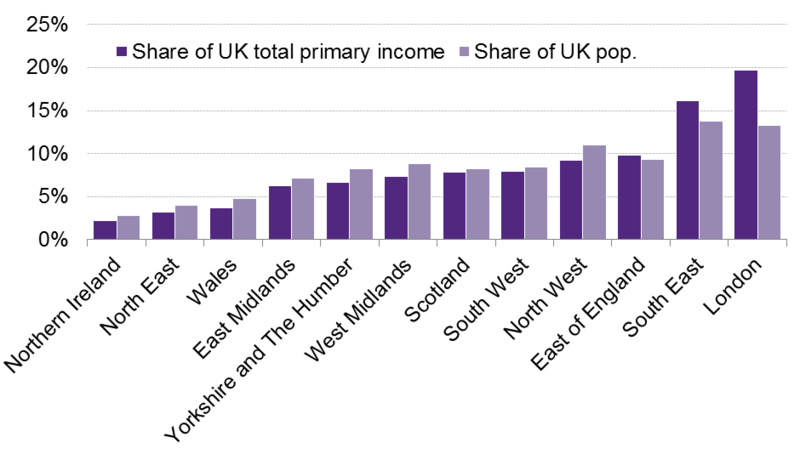 How does share of primary income compare to population share across the UK? 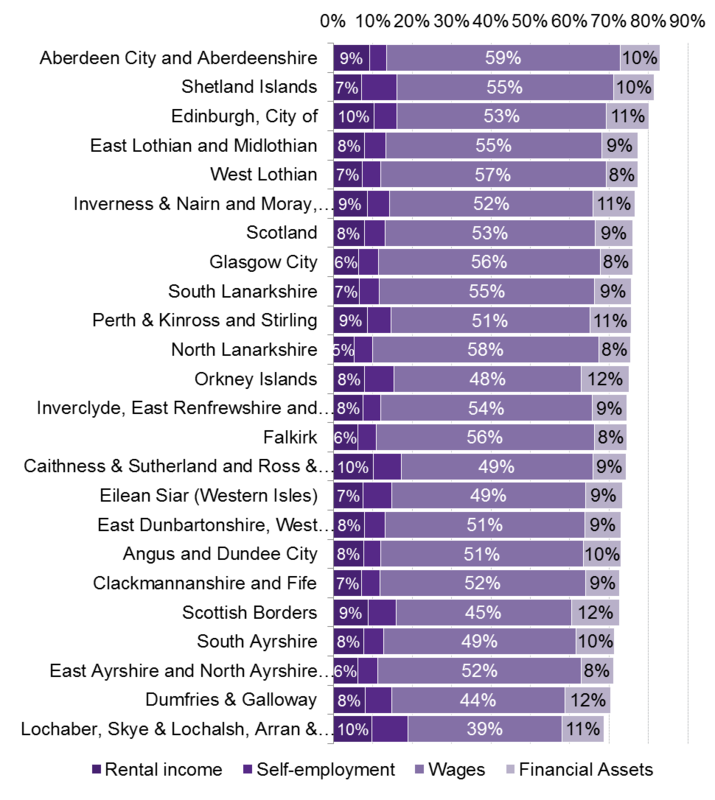 How does primary income compare across Scotland? 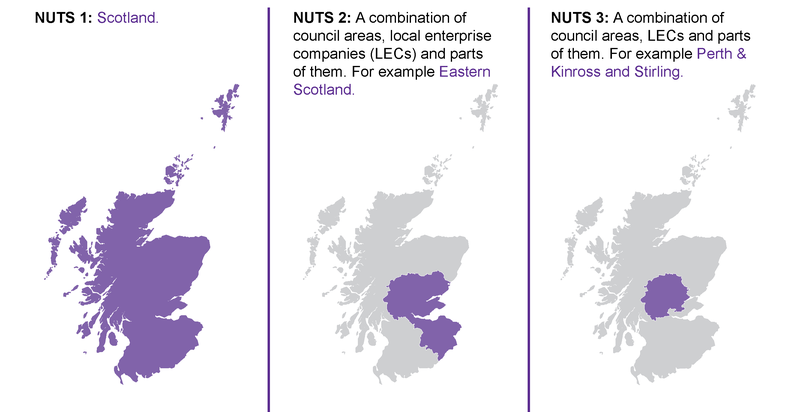 How has primary income changed over time? 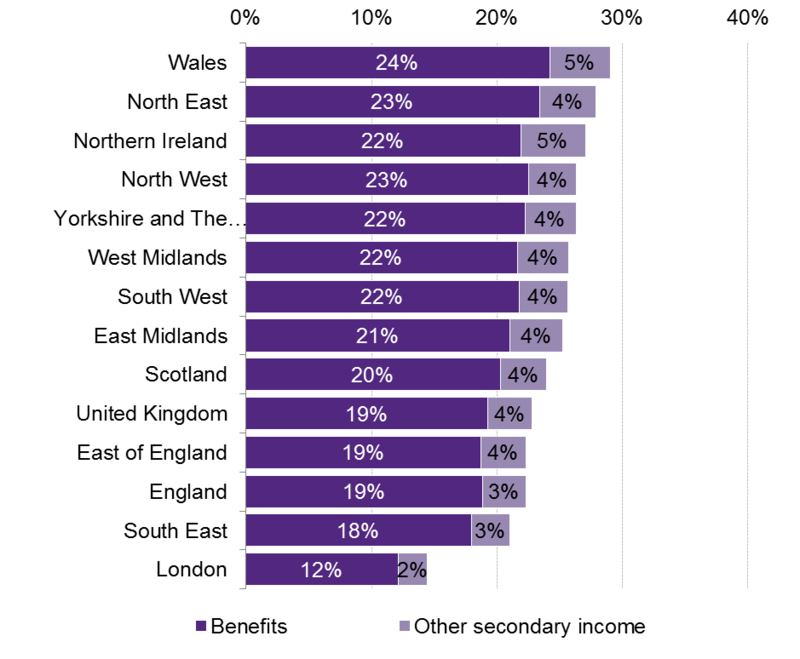 How does secondary income compare across the UK? 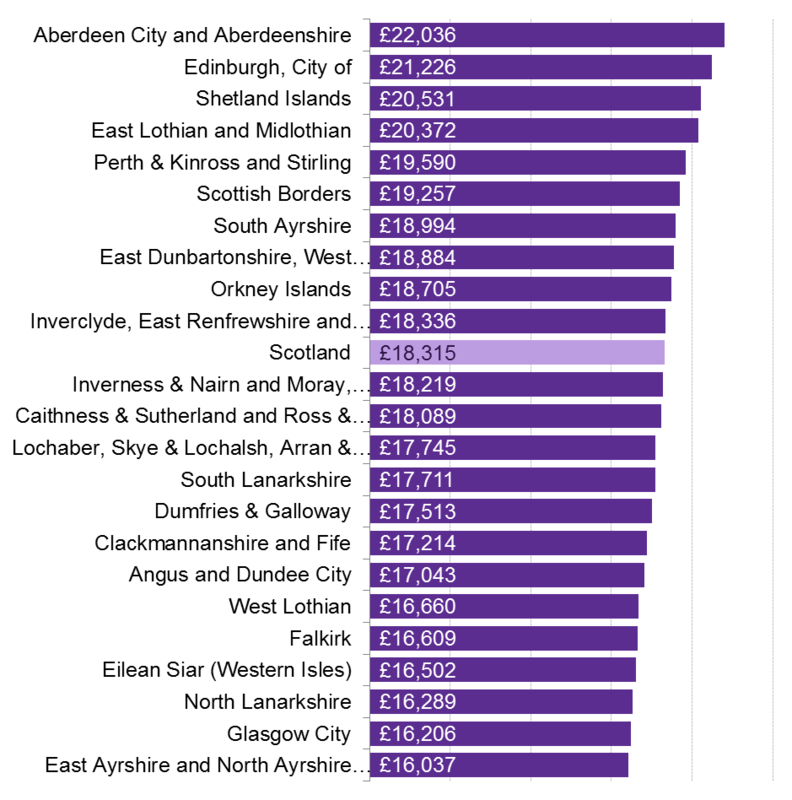 How does secondary income compare across Scotland? 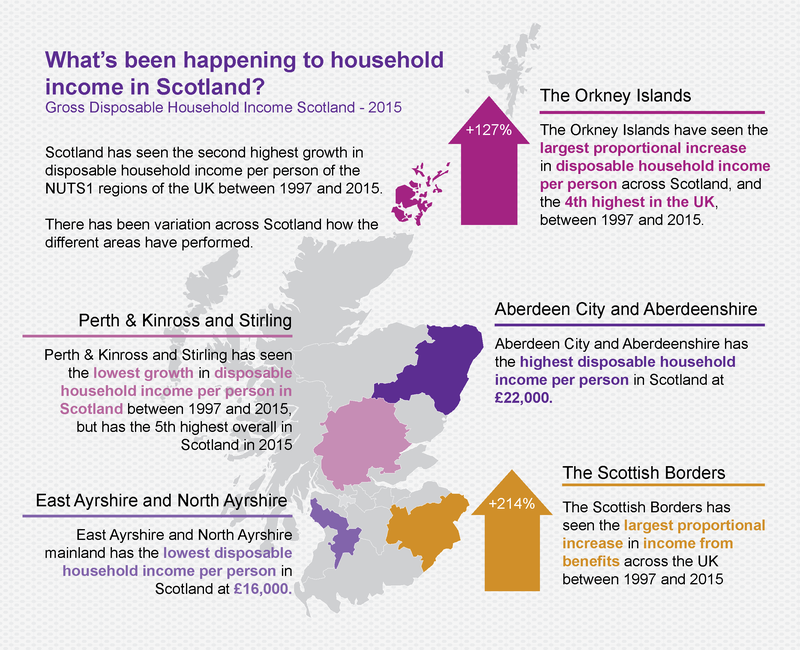 Image: Figure 1: What's been happening to household income in Scotland? Image: Figure 2: What is disposable income?